Marketing Data is big & highly fragmented. Big data is messy. It’s scattered across platforms, it’s diverse, and in its raw form, it’s practically unusable. We know, it’s a painful truth. The fact of the matter is that having a lot of data doesn’t necessarily mean that you have the answers to your most pressing questions. Looking for the most relevant bits in your pile of big data is like looking for a needle in a haystack. But don't you worry - we are here to help. 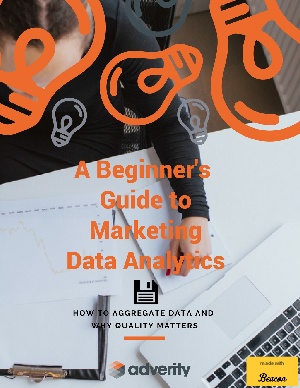 This handy e-book will give you a short overview what quality matters, why data is so important and what you need to pay attention to.